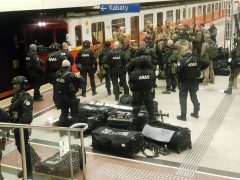 The exercises were carried out via the ATLAS network, in which 38 special police units from all EU Member States as well as Iceland, Norway and Switzerland are organised. Founded after the attacks of 11 September 2001, the network has been part of the EU structures since 2008. The annual „ATLAS Common Challenge“ took place once again in several countries at the same time. In seven member states of the European Union, different scenarios were played through simultaneously. The individual training sessions were accompanied by short videos on Twitter. At the end of the event, the best team will be awarded a prize, nothing is yet known about the winners. On the occasion of the current exercise, the Austrian Council Presidency and the Director of Europol have agreed on closer cooperation with the ATLAS network. Europol’s statement says that the special task forces should also react to attacks inspired by „right-wing or left-wing ideologies“. In the early years of the ATLAS network, the participants had practiced in the country holding the Presidency. In 2017, Austria took over the chairmanship of the force for four years. The head of the Austrian special unit COBRA heads the so-called ATLAS Commanders Forum. All exercise scenarios were coordinated via a new „support office“ for the ATLAS network. It was set up a year ago at the Anti-Terror Centre of the Europol Police Agency in The Hague. Until then, the activities of ATLAS had been coordinated by the respective EU Council presidencies. Europol’s permanent office is intended to ensure that long-term projects are not lost sight of when management changes every six months. Now the procedure for mutual requests for assistance in the event of an emergency is to be renewed. 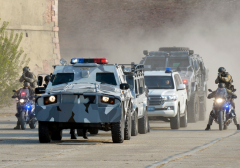 Solutions are also being sought to facilitate the cross-border transport of weapons and equipment. Every year, the ATLAS network organises dozens of exercises and meetings for special units from different countries. Before crossing the border, applications must be made for permits to carry weapons and hazardous substances. 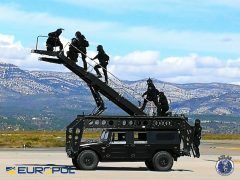 In addition to special units, the European Union also wants to improve cooperation between gendarmerie and police units. In recent years, the EU Commission has organised several joint training sessions, each attended by around a dozen authorities from different countries. Now the French Gendarmerie and the Spanish Guardia Civil have published a concept for further European exercises. It is entitled „Integrated Training“ and is intended to set common standards. 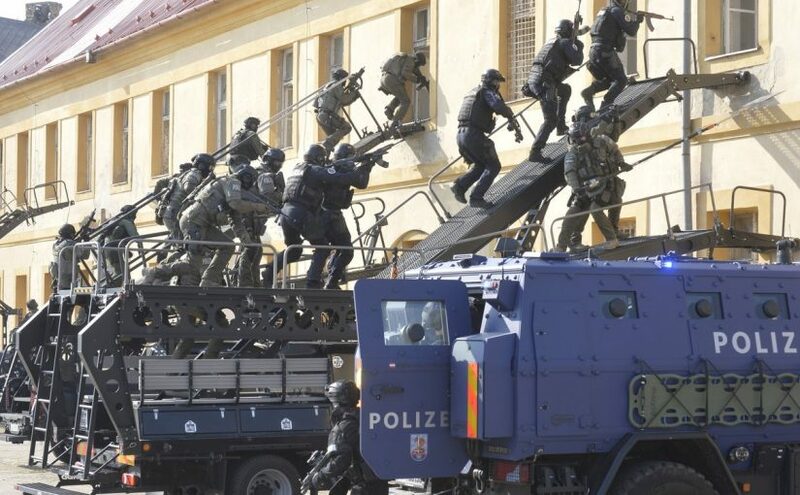 Any training with other Member States could also be held via the European Police College CEPOL in Bulgaria. The Austrian Council Presidency intends to include the proposal in the „Vienna Process“ launched by the national conservative Interior Minister Herbert Kickl in April. In Kickl’s words, Austria thus wants to support a „citizen-oriented, crisis-proof, sustainable EU security union“. Image: Austrian MOI on Twitter.